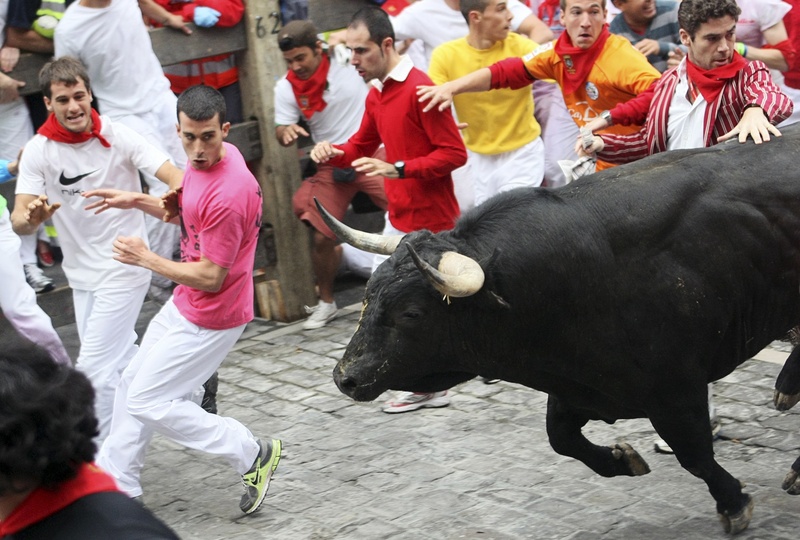 As I pack my bags for the encierros – ‘bull-runs’ – of San Sebastián de los Reyes and Cuéllar, I was about to happily announce a new tradition, that of an international Runners’ Breakfast in the latter, the oldest encierros in Spain. Here is how I put it in an article to be published in El Norte de Castilla on Sunday. 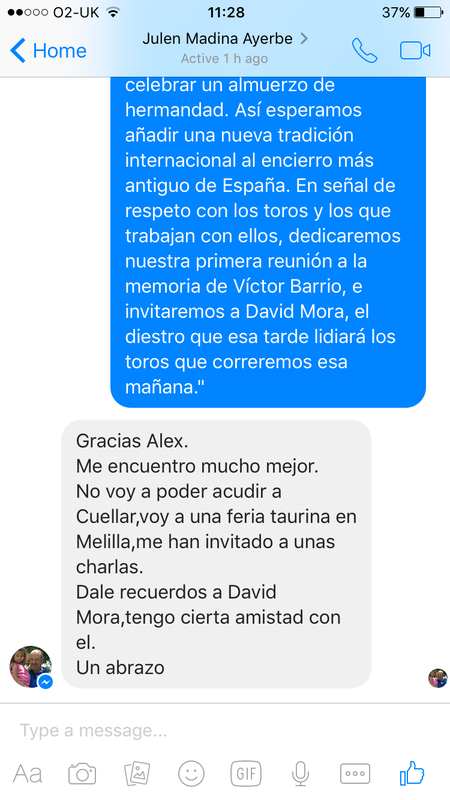 As part of this spirit of cooperation between local and foreigner, I have asked the principal pastor, Enrique Bayon Brandi, to join with me in arranging a “breakfast of runners” following a tradition begun in Pamplona by the great runners, and our good friends, Julen Madina and Joe Distler thirty years ago. 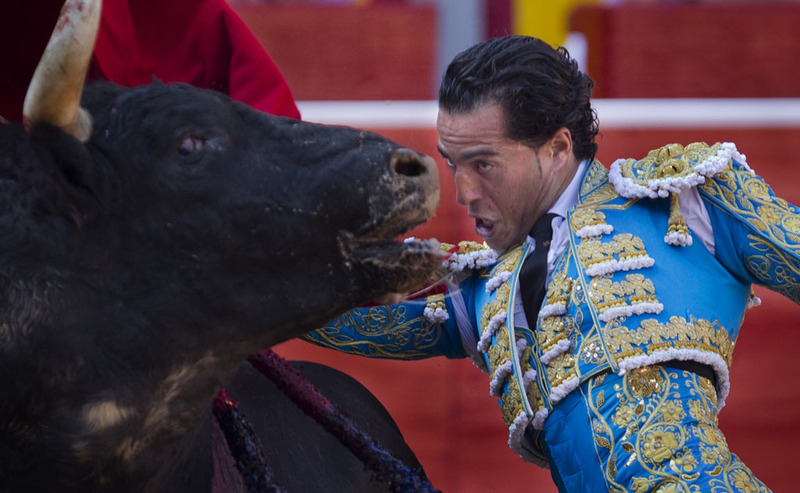 We hope to bring a new international tradition to the oldest encierro in Spain. 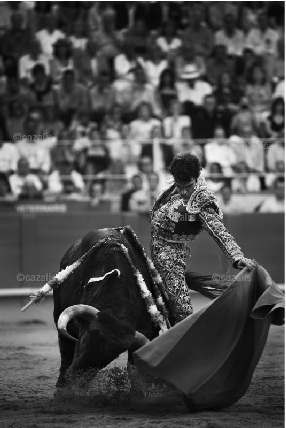 As a mark of respect to the bulls and those who work with them, this first will be held in honour of the memory of Victor Barrio and attended by the matador David Mora the morning before he faces the same risks himself with the bulls with which we have just run. 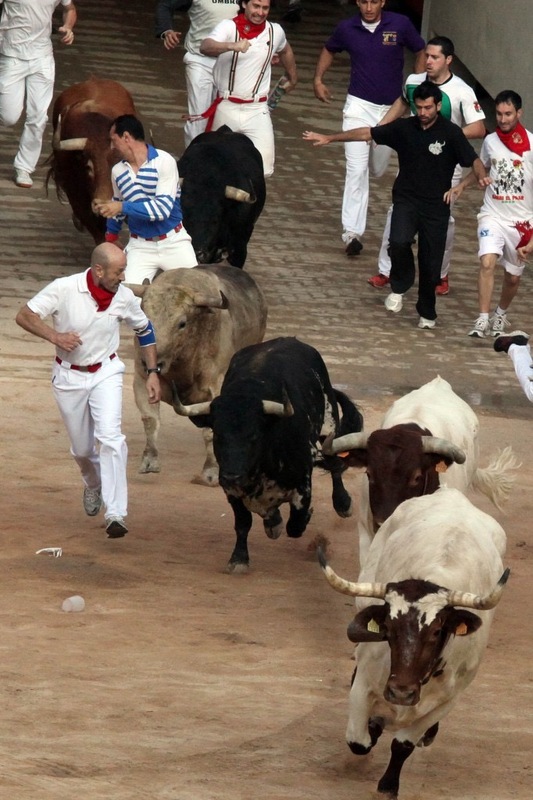 However, I then heard the news that Julen Madina, a mythic runner of bulls, was in a coma in intensive care in San Sebastián having almost drowned in the sea. Only two days before I was messaging him on Facebook to invite him along. Now all I can say is that Julen is in all of our prayers.